Darfur is a region of Sudan. It is estimated that since 2003, about 40,000 civilians have been murdered there every year, about half a million people to date. For every murdered civilian, about five flee their home. The genocide and ethnic cleansing are organized by the Sudanese government, which didn't stop it getting nominated for a seat on the UN Human Rights Council, and the UN report on it was only compiled following extensive criticism. The only thing the UN Human Rights Council wants to discuss is Israel, and in contrast to Sudan which is mostly ignored, there are constant UN reports on Palestine. Israel is the only non-African country to have a land border with an African country and in recent years many people fleeing Sudan and Eritrea have chosen to come to Israel. At its peak in about 2010, some 3,000 people were crossing the border every month. 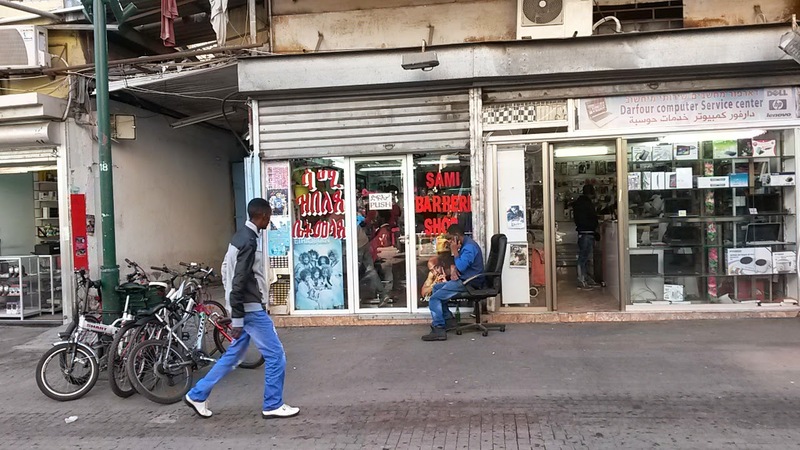 The flow of refugees and Al-Qaeda attacks from Sinai, eventually led the Israeli government to put up a serious border fence and place better quality troops along the border, but in the meantime the population of Tel Aviv's poorest neighborhoods has become increasingly African. I took a friend round the area a couple of days ago, and he pointed out the Darfour Computer Services center. My home desktop PC has had a problem lately: one of the RAM modules had stopped working and I wanted to upgrade my motherboard to use the latest RAM. 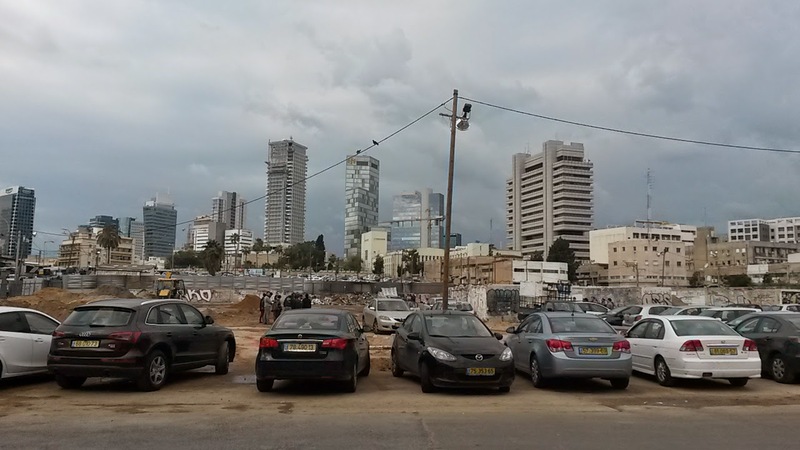 Unfortunately it seems that no one in North Tel Aviv uses desktops anymore. The shop where I bought it (Ivory) weren't interested in upgrades and offered me a new PC at the same price as an upgrade, their sole rivals (KSP), who are cheaper, won't upgrade any desktop which they didn't sell. I tried them both yesterday with no luck, and then I remembered the Darfour Computer Services Center, I hopped in my car and drove down to what is now known as the "old central bus station" and carried the computer in. A serious looking man called Ahmed examined my PC. While he did so, a Chinese man was busy fixing mobile phones in the corner. Ahmed explained that he didn't accept credit cards. He said he used to but so few of his customers used them, that he stopped bothering with the equipment. Ahmed needed some time to name me a price, so I left the PC there and went for brunch in a vegan restaurant just off Allenby. Needless to say he had no visiting card, so he wrote down his phone number for me, and I went off. I came back about 90 minutes later, and unfortunately the price he quoted for a new motherboard and CPU were about the same as Ivory which was more than I wanted to pay. While I waited, he disassembled the CPU, carefully cleaning everything and then put it back together again. This had the effect of rejuvenating the dead RAM module which came back to life. I paid him 70 shekels for this service which at least keeps my desktop working for a while longer. Ahmed told me he has been in Israel for 9 years. I asked what he did in the Sudan and he told me that he hadn't really done anything there, he was 18 when he arrived in Israel. 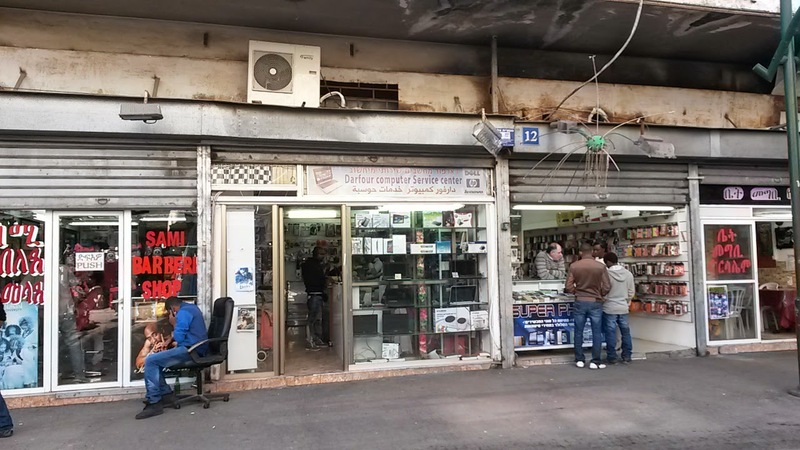 I Googled Darfur Computer services, and the only response was the store in Tel Aviv. This is its Facebook page; https://www.facebook.com/pages/Darfur-Computer-Service-Center/536370756425356.